The Coral Bay chandelier inspired ceiling fan features a lantern style light fixture with three vintage LED Edison bulbs encased in seeded glass. 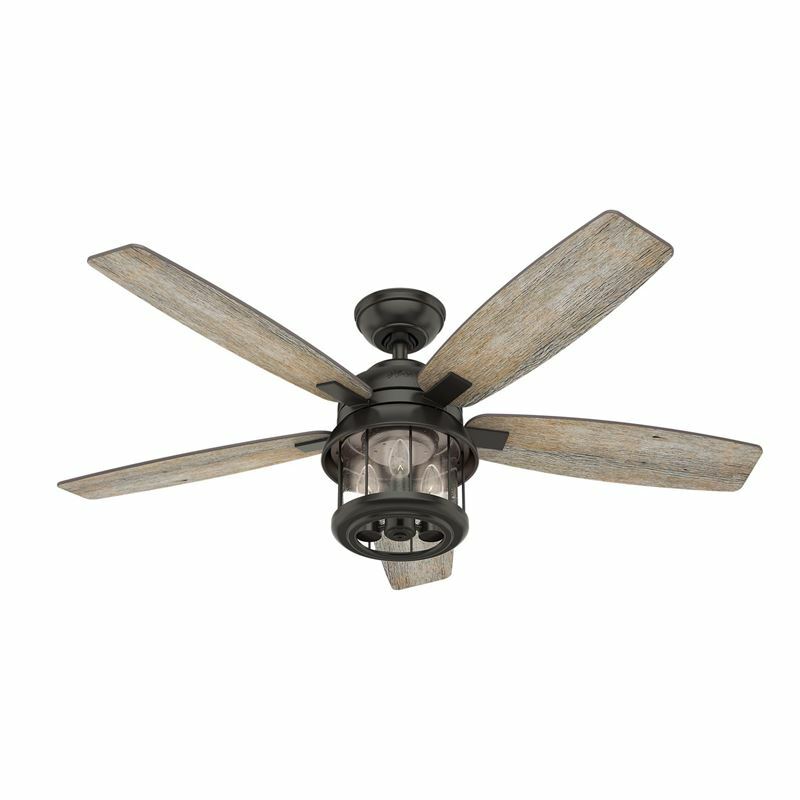 The noble bronze ceiling fan finish complements your rustic, farmhouse d‚cor. This rustic ceiling fan is damp rated for use in covered porches and patios as well as indoor spaces like living rooms, bedrooms and kitchens. This ceiling fan with remote comes with a preinstalled receiver for easy installation.